Resident Evil VII is a first-person survival horror game with myriad creatures/things that would like nothing more than to eat your face clean off. After the scattershot approach to Resi 6, Resident Evil 7 wasn’t quite what we expected. It’s a focused experience, set in one location in the American deep south. And the horror? One particularly sadistic family. Braaaaaiiiiiiinnnnnns? Here are the best zombie games on PC. Resident Evil VII is the re-think the series sorely needed, marking it out as a horror classic that rivals the first and fourth Resi incarnations. But, don’t take our word for it, try the Beginning Hour demo on Steam now. Resident Evil VII is already out, having released on January 24, 2017 in North America and Europe, and Japan on January 26. We’ve been waking up in cold sweats ever since. Judging from the game’s trailers you’d be forgiven for thinking you’re watching a reveal for one of Frictional’s Amnesia titles, or the now cancelled Silent Hills game. All the key bits are there: a helpless protagonist, rummaging through a creaky, abandoned building, and a dim and blinking flashlight. It’s immediately evident that Resident Evil VII is a proper return to the to the series’ survival horror gameplay. We know that’s what Capcom say about every Resi, but Resident Evil VII genuinely feels like the Resi games of yore. There are weapons, but don’t expect to find lots of ammo. You also won’t be able to mow down assailants with a single shot – some enemies can take several shotgun blasts in their stride, but your aggression might buy you some valuable time to escape. Combat is rare, and fleeting when it’s necessary. In old-school Resi fashion, you’ll spend most of your time exploring and looking at items. Puzzles return in Resident Evil VII, too, and fortunately they’re not as obtuse or downright silly as they have been in previous entries. Be prepared to find keys by draining filthy bathtubs and open doors by weighting down objects – standard videogame stuff that breaks up the suffocating horror. 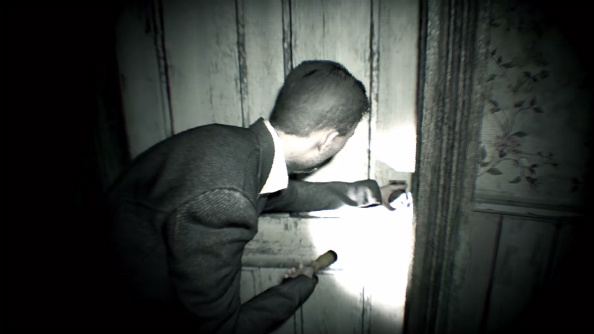 The shift to a first-person perspective has also ushered in some prime jump-scares. Thankfully, these are distributed mercifully, which ensures they don’t get tiresome. There is also very little in the way of a HUD. Instead you’ll have a tattered and torn map of the house for reference. No glowing objective markers to break the immersion. 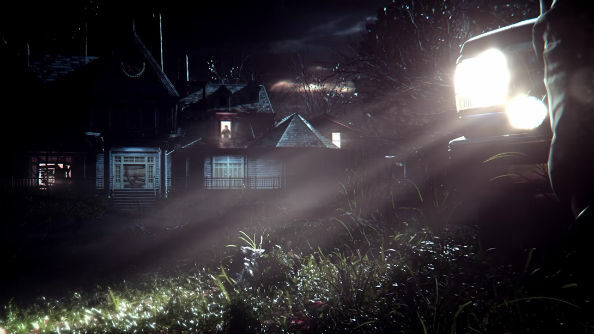 A dilapidated plantation mansion in America’s deep south – it’s an interesting setting for the franchise, but by far its biggest draw is that players are restricted to just that area. The result of that confinement is a game that’s much more concise than previous Resi titles. With a small, intricately constructed single setting there are lots of subtle, hidden messages littered throughout to discover while exploring the plantation. Each nook and cranny of the mansion has been meticulously crafted to evoke a sense of domesticity gone awry. Thematically, the deep south allows for plenty of horror fun to be had; even Leatherface himself would feel right at home in this crumbling mansion. Nightmare – fend off waves of enemies and survive until morning while crafting useful items and traps to stay alive. Bedroom – figure out how to escape from a locked room – but don’t let Marguerite Baker know you’ve been out of bed. Ethan Must Die – a tough-as-nails mode separate from the tapes and story of the main game. 21 – gamble life and limb in a deadly game run by Lucas Baker. Daughters – see what the Baker family was like before the tragic events of Resident Evil 7. Jack’s 55th Birthday – race against the clock and feed Jack tons of food in this comical extra game mode separate from the tapes and story of the main game. In April, it was announced that the free ‘Not a Hero’ DLC – an epilogue expanding on the game’s ending – would be delayed. We’ve still had no word on when Not a Hero is coming, but below you’ll find a video apology from Capcom. Also still to come is the third and final part of the season pass, an “additional story episode.” Apparently this is due “before December 31, 2017.” Rotting fingers crossed. Check out the Resident Evil VII reveal trailer – it’s spooky, maggoty, and you can watch it below. Resident Evil VII is scary, even for big, muscular people. Case in point: the video below. 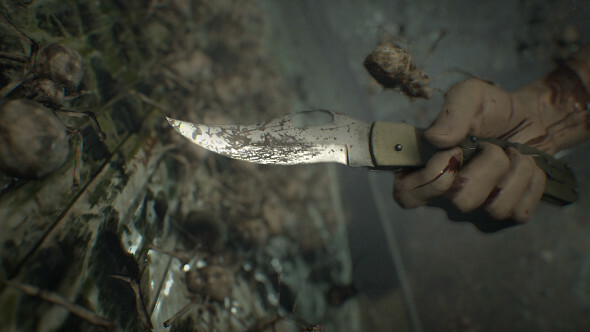 In a series of dev diaries available on the Resident Evil YouTube channel, Capcom explained that another key horror franchise influenced Resi 7’s development: The Evil Dead. The full series goes behind-the-scenes on making the game ‘realistic’, the famously disgusting ‘dinner scene’, and VR implementation. Below is the first dev diary on Resi 7’s origins. That’s all we have for Resident Evil 7, we sincerely hope you enjoy playing it. Let us know what you thought of the game in the comments below.